The evolution of technology both in the Fixed and Mobile Communication markets is driving a shift in the way that CSP’s are providing services to their customers. With the focus on providing more bandwidth to support: IoT, over-the-top content and increases in customer demand, as explained in my Blog; A Changing World Needs an Evolution in Thinking!! Competition is driving the adoption of new technologies and processes as CSP’s compete with other providers and look to reduce the risk of customer churn risk by providing new services faster. That’s driving a fundamental change in how operators are providing services. There needs to be agility and optimisation at the network level to make sure services are assured from every level of the network. To do this service providers need to support both their legacy environments but also the current and future too. But how can they do that when Engineering and Operations teams are already running at 150% capacity?? The challenge is not being helped by legacy network management tools, aging and silo’d – fault, performance, etc. This has created a vortex caused by an inability to support end to end visibility, complex integration points across the OSS stack and ultimately, an exposure to not being able to support new technologies such as Virtualization (SDN/NFV) or 5G. 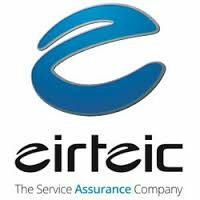 Eirteic were recently awarded a contract at a major UK mobile operator, to consolidate multiple OSS platforms to one single Unified solution provided by Monolith utilising their AssureNow platform. Their challenges were causing concern as they are amongst a number of CSP’s who are worried about their ability to support new service offerings. There is a complexity to using legacy OSS systems which are costly and time consuming to enhance and maintain – impacting operational costs. Dealing with the legacy networks but also planning for the new world, will need the creation of a 21st Century OSS architecture; Eirteic are working to provide just that, with our partners AssureNow, Cortex Orchestration, FNT and Galileo Vision. We are focused on implementing innovative solutions that enable our customers to meet their current objectives and support the future.